Have you ever run a load of dishes in the dishwasher again because you weren't sure if they were clean? Here's a project that'll be an easy solution for that problem. 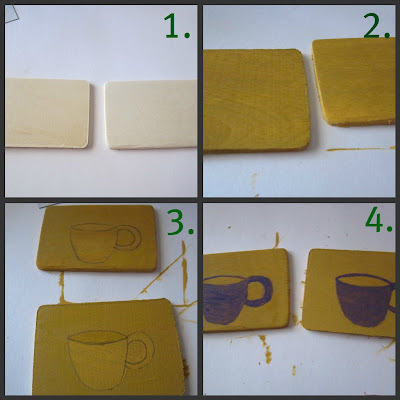 Start with rectangular wooden pieces along with business card magnets. I got mine from Michaels. 1. Gather your materials. 2. Paint the background a light color. 3. Sketch a line to be the bottom of the cup. Add rounded sides. Finish the top with a flattened oval for the opening and add a handle. 4. Paint the mug whatever color you'd like. 5. Now it's time for adding details. On one rectangle put extra drips of coffee down the sides of the cup. On the other, add a shining, clean star. 6. Use a Sharpie to write Dirty and Clean above the coffee cups. 7. 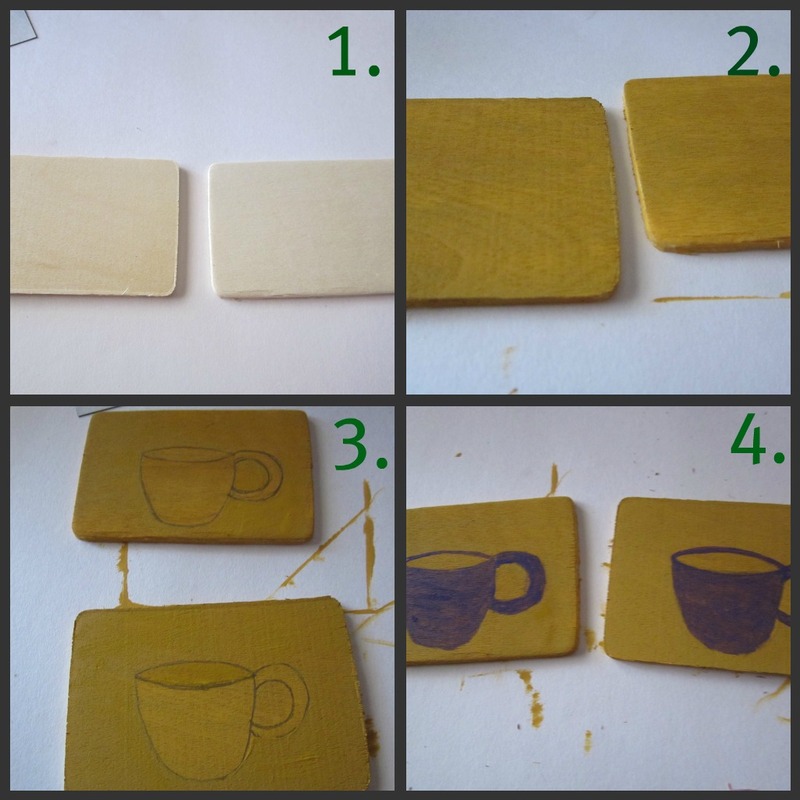 Attach the rectangle to the sticky side of the business card magnet. 8. Cut excess off the edges. Now it's ready for your dishwasher! 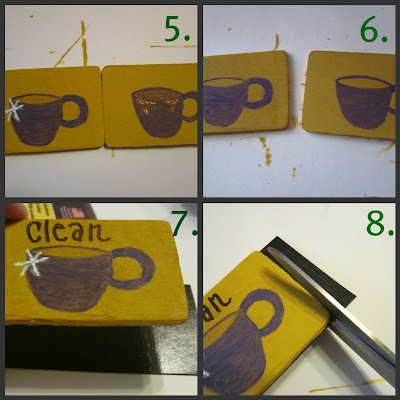 Cool magnet idea and thank you for the comment on my blog! ha, what a great idea!! !